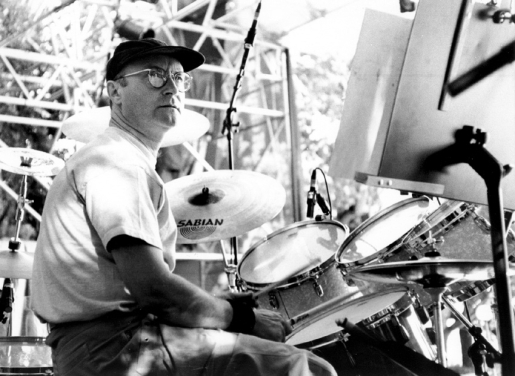 Phil Collins back in 1996, rocking out on the drums. I’m just going to say this. I know he’s cheesy, but I like Phil Collins. I mean, compare him to Peter Gabriel, the OTHER lead singer of Genesis. He’s not so bad now, is he? I mean, he’s got seven Grammys, so he’s pretty good. Still, he’s taken a beating lately in the press (in spite of good record sales), and he’s suffering a bit from his hard life on the road. So, it looks like it’s the end of the road for rock’s most famous singing drummer. Phil Collins is retiring. Some of the things mentioned above have been said by me in various interviews, but said as asides with a smile on my face and in passing. They were not meant to be “headlines”, they were small parts of a conversation. This clearly doesn’t come over in print and I should know better. However, the result is that I have ended up sounding like a tormented weirdo who thinks he was at the Alamo in another life, who feels very sorry for himself, and is retiring hurt because of the bad press over the years. Thanks for all your messages on the Forum regarding this stuff, it means a lot that you care. But there’s no need for the straitjacket ! I like Phil Collins. I even like his work with Genesis. I mean, c’mon! In The Air Tonight? That’s a classic track. Just take a listen!